End-of-season sales can be a bargain shopper's dream. Unlike unanticipated flash sales, end-of-season sales occur around the same time each year as retailers offer discounts on items associated with the season that's about to end to make room for the new season's items. But to take full advantage of these seasonal sales, you have to plan ahead. In preparation, here's a bargain shopper's comprehensive guide to end-of-season sales. 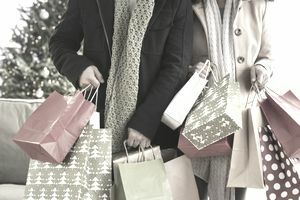 Seasonal sales follow a general retail schedule that follows not only the seasons but also major holidays and other timely factors that affect shopper's behaviors. So if a bargain shopper were to commit any one fact to memory, it would be this: traditionally, spring and summer merchandise usually goes on clearance in June and July and fall and winter merchandise usually goes on sale in January after the winter holidays. With a little advance planning, you can save significant amounts of money and avoid charging up your credit card by planning your purchases around these guidelines. To help remember seasonal sale timing, remember this economics rule of thumb: when demand is high, prices are high and when demand is low, prices are low. Most consumers are not planners, which is to say that they shop for their needs and wants as they arise, which when in sync with other consumers strongly dictates demand. For those seasonal wants, you will see most people shopping at precisely the wrong time in terms of how collective demand drives prices up. But bargain shoppers know better. They are those consumers who buy lawnmowers, gas grills, and other outdoor summer equipment in the winter and buy snow shovels, humidifiers, and other items they'll need in the winter during the summer months. They may look crazy, but they know something other shoppers don't. Try checking sites that specialize in end lots and overstocked items, like Overstock.com or SmartBargains.com. When looking for the best price on a specific item, it pays to use shopping search engines like Pricegrabber.com or Google shopping, which lists prices from various online vendors for the item you're searching for. To save money when shopping directly at a retailer's online store, be sure to take advantage of online coupons. Sometimes you can land a free shipping code or even a significant discount on your order. One way to find online coupons is simply to search the name of the store, the + sign, and the words "promotional code" or "coupon code." You can also go directly to a coupon website like Retail Me Not, Dealcatcher, and Coupons.com to look for coupon codes. Don't forget to sign up for one of the many online shopping rebate sites, which negotiate deals with some of the largest online retailers to offer you up to 5% cash back on your online purchases. Try checking out Fat Wallet or Ebates. When shopping sales, remember that just because an item looks like it's marked down, you shouldn't assume you're getting a bargain. Know what the items you're buying usually cost — not just what the price tag says. You can get this information easily by comparison shopping online to get a feel for prices, then visiting your local stores to actually buy the items. Buying something you don't really need is never a bargain, no matter how discounted the price is. Even an item that's steeply discounted won't end up being a bargain if you put it on a credit card and don't pay it off right away. The longer you carry the balance on your credit card, the more the interest will eat into your savings on the item. Don't fool yourself into thinking you got a great price if you have to use credit to purchase it in the first place. You can save a lot of money by buying big-ticket items in the month that retailers traditionally reduce prices on that item. Though these general rules are most applicable to brick and mortar retail stores that carry inventory, you can see some of the same seasonal sale trends online. Looking to purchase any of the following big-ticket items? Schedule your shopping trip during that item's bargain sale months to land the best deal. White Sales: Save 15 to 50% on sheets, blankets, comforters, other bedding, towels, etc. after the holidays. Bargain Sale Month: January. Bargain shoppers know that they can save by buying certain items in the month that retailers traditionally reduce prices on that item. Though these general rules are most applicable to brick and mortar retail stores that carry inventory, you can see some of these same seasonal sale trends online. In the market for a new computer? You might want to wait until after the winter holidays and hit the stores in January. You might not be thinking about new furniture in the heart of winter, but you could get a real deal in February. It may still be a bit chilly outside, but warmer weather is right around the corner. You might want to buy that new air conditioner in March. Thinking about taking a trip? April might be a good month to make the purchase. Your kid's sports seasons may be coming to an end, but there is always next year. Consider stocking up on sports equipment in May to get a deal. If you've been eyeing that new big screen TV and missed out on the Black Friday sales this year, not to worry. June's got your back in terms of sales. Back to school is right around the corner, get a head start by getting your school shopping done early in July. Hopefully, you didn't go all summer without working lawn equipment, but if it's time to replace, August might be your best bet. Buying winter wear in September won't tempt fate when it comes to the weather, but it will save you some dough. Depending on what you fish, it might not be fishing season any longer, but you can stock up for next year in October. Getting chilly? Stock up on space heaters and blankets before Thanksgiving in November. Time for a new microwave? Try buying your appliances in December.